A Vietnamese court found two Vietnamese-Americans guilty of terrorism on Wednesday and sentenced them to 14 years in prison for masterminding a series of bomb plots earlier this year, a court official told Reuters. James Nguyen and Angel Phan were convicted, along with 10 accomplices who received short jail terms, after a two day trial. All defendants had been charged with “attempting to overthrow the state”. Phan and Nguyen had been accused of organising at least three attacks, including the attempted bombing of Vietnam’s largest international airport in Ho Chi Minh City last April, and the successful bombing of a police station in June this year. 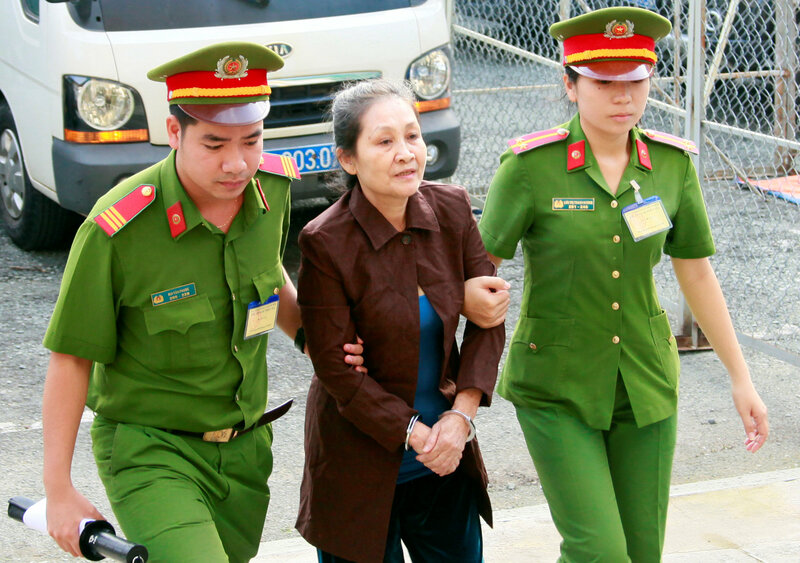 “The remaining 10 defendants in the same trial received prison terms of between five and 11 years,” an official at the Ho Chi Minh City People’s Court told Reuters by phone. According to state media, Phan and Nguyen were acting on behalf of the “Provisional Government of Vietnam”, a California-based organisation run by Vietnamese-Americans still loyal to the now defunct state of South Vietnam. The U.S. organisation, which was listed as a “terrorist” group by Hanoi in January this year, dispatched Phan and Nguyen to Vietnam in February 2017 to carry out attacks on Vietnamese national holidays, the Ministry of Public Security said in a statement on its website. Phan and Nguyen ran a network of underground operatives in Vietnam, some of whom were given titles in a shadow government such as “governor of Saigon”, or “commander of national defence guards,” the Ministry of Public Security said on Wednesday. The pair assigned “counter-revolutionary” missions to the group’s members in Vietnam, the ministry said, including a plan to broadcast anti-government propaganda from local radio stations, organise protests, and “insult the image” of former president Ho Chi Minh. Phan and Nguyen will be deported after serving their jail term, Voice of Vietnam radio reported. In June, a court in Ho Chi Minh City upheld prison sentences against 15 members of the group it said were guilty of planting bombs in the international terminal of Tan Son Nhat airport in April last year. Last month, police said it had arrested seven people from the group over the bombing of a Ho Chi Minh City police station. The incident, in which two small explosive devices were detonated, injured three people in what police said was a “terrorist case against the people’s government”. A police warehouse, where confiscated vehicles, mostly motorbikes, were stored, was also blown up. The Provisional Government of Vietnam did not respond to a request for comment made via its website. In a statement, the U.S. Embassy in Hanoi said it had been providing consular services for James Nguyen. “We will continue to monitor Mr. Nguyen’s welfare, advocate for him, and provide consular services until his release,” spokesman Pope Thrower said in the statement, which did not mention Angel Phan or address the terrorism charges.